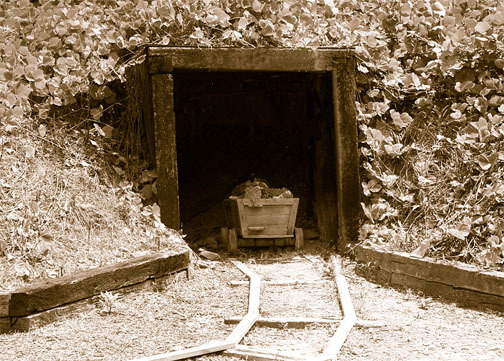 Many of you know Dahlonega as being the site of the first US Gold Rush, but what other “nuggets” (see what we did there…) of history remain unknown? For starters, there’s the name itself, Dahlonega. Pronounced Duh-Lon-uh-guh, the name actually derives from the Cherokee word “Dalonige” which means “yellow” or “gold”. So it is no surprise that the town would be named for the gold that was found here. As a result of the gold rush, the United States built a branch mint right here in Dahlonega. The Dahlonega Mint was established in 1838 and only minted gold coins. The coins were minted in the denominations of $1.00, $2.50, and $5.00. The $2.50 coins were known as a “quarter eagle” and the $5.00 coins were known as a half-eagle. 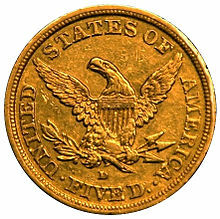 For a short time during the year of 1854, a $3.00 coin was also minted. With more than $6 million worth of gold coins minted, the branch was shut down in 1861 due to the Civil War. The gold rush in California was in its prime during this time and the branch mint built in San Francisco as a result was producing the national needs of mint production. Because of the mint in San Francisco, the Dahlonega branch was never reopened. The Consolidated Gold Mining Company was set up in response to a new wave of gold interest in the early nineteenth century. The largest gold-processing plant east of the Mississippi River, the Dahlonega Consolidated Gold Mining Company was a four-story mill with 120 stamps. 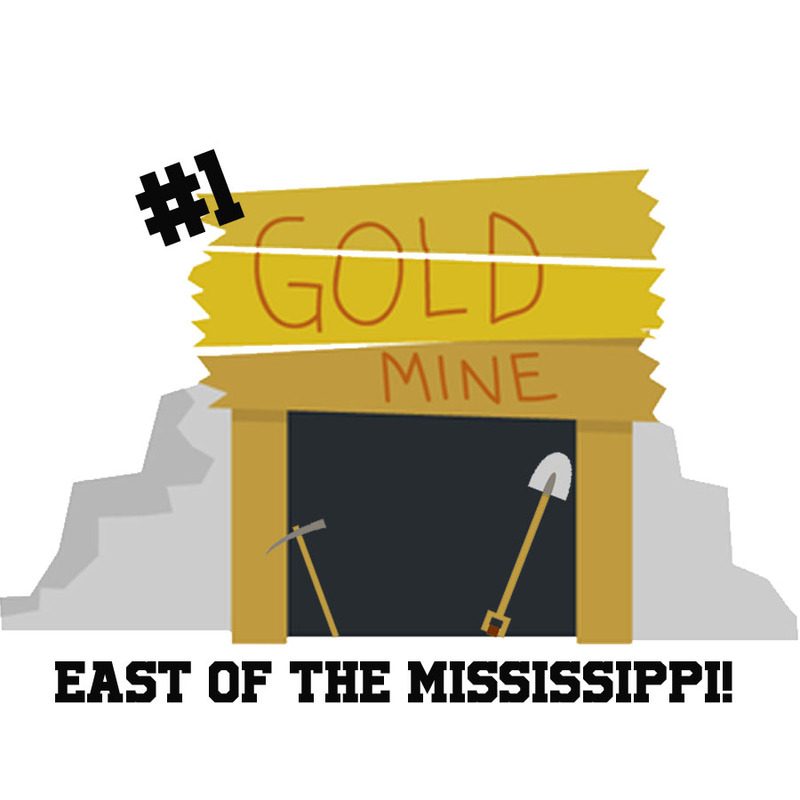 Consolidated Gold Mine is still open today for tours and mining! 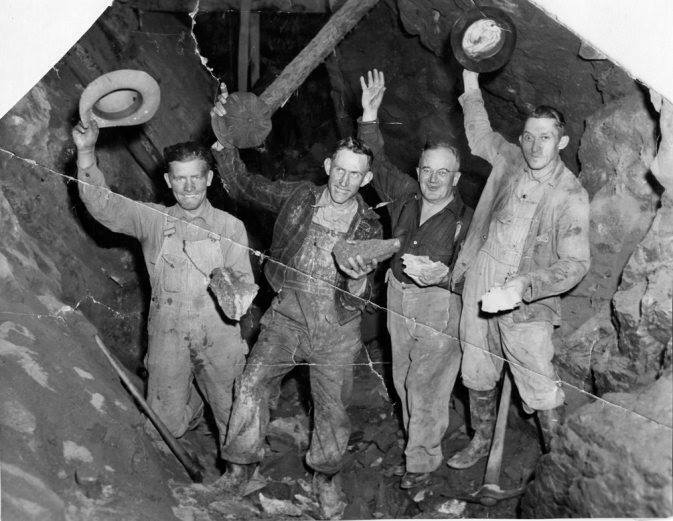 Mining promoter Graham Dugas (man with glasses) and three local miners pose for the camera with their new gold discovery in November 1939. This was literally Lumpkin County’;s last “hurrah” for the gold mining industry. Another little-known fact is about one of the major investors and stockholders in the Consolidated Gold Mining Company. 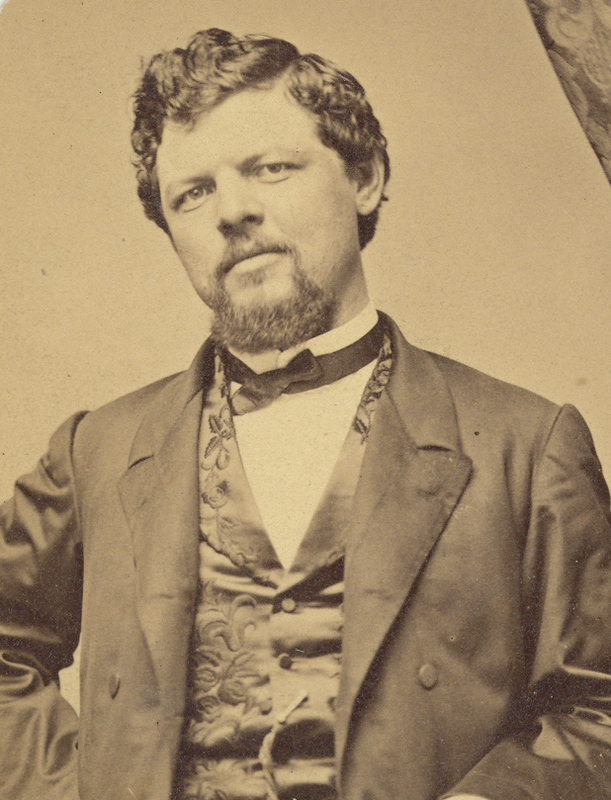 His name was Frederick Pabst, and he was from Milwaukee, Wisconsin. Not ringing a bell? You might know him better for his brewing company Pabst Blue Ribbon. Yep, that’s right; Pabst himself had stock in the mining company right here in our small town. For more history and a hands-on experience, make sure you come by Consolidated Gold Mine and see what all the fuss is about!